The arrival of spring brings the rejuvenating promise of warmer weather, longer days, lighter clothes, colourful gardens…and also the dreaded spring cleaning. If you’re feeling overwhelmed at the prospect of spring cleaning your house or apartment this year, you’re not alone. A recent survey of 1,000 UK residents found that 41% of them were also daunted at the amount of spring cleaning work their residence required. 68% felt negatively overall about having to spring clean. Regardless of your enthusiasm for spring cleaning, it’s an important job that helps to cleanse and declutter your home. Follow these nine tips to get your spring cleaning done effectively this year. Spring cleaning is all about intensifying your regular tidying up routine so everything gets an effective deep cleaning and thorough reorganizing. This will take time. Instead of cramming all of your work into one stressful weekend, use a more realistic approach by tackling spring cleaning over a couple of weekends. Even an hour of work on a weeknight or two over that period can make meaningful strides towards completing your goal. With so much spring cleaning work to be done, why should the burden rest solely on you? After all, your family members have all contributed to the mess and clutter in your home. Break up the workload by delegating spring cleaning tasks to the rest of the family. Make sure to inject a little fun into the spring cleaning process. Listen to your favourite music, podcasts, or audio books to alleviate some of the dreariness. Tip: refrain from having the TV on while cleaning, as it’s more likely to distract you and decrease productivity. There’s nothing like opening your windows and feeling that invigorating first spring breeze entering your home after a long winter. Keep them open as long as possible to refresh the air in your home and clear out some of the allergens that have accumulated over the past several months. Any efficient spring cleaning should include a thorough decluttering process. Carefully consider which of your belongings deserve space in your home. A good rule of thumb is that if it hasn’t been used or worn in the past year and doesn’t have any sentimental value, then get rid of it. 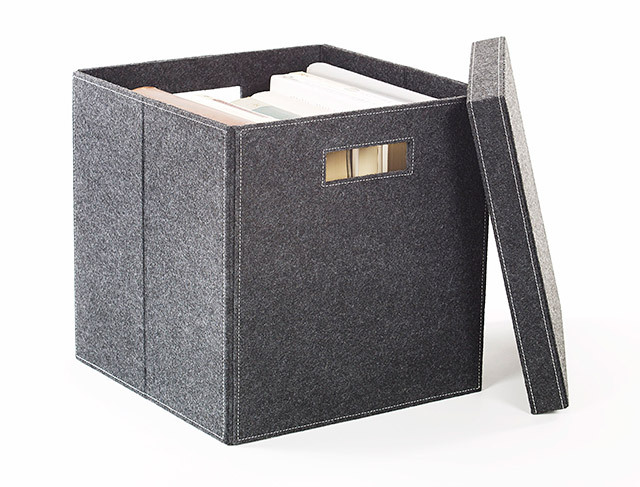 Organized Interiors has storage bins for the items you deem worth keeping and off-season clothing. If you’re plagued by more serious closet organization issues, then schedule a free in-home consultation with one of our designers. All rooms should be cleaned from top to bottom for maximum effectiveness. That way, any dust and dirt that gets knocked loose will be on the floor for you to vacuum or mop up later. Make sure not to ignore your light fixtures or the corners and ceilings of rooms, where cobwebs tend to appear. One of the most time-consuming spring cleaning tasks will be making sure every possible surface in your home is given the proper attention. Items like shelving, windowsills, countertops, sinks, wooden furniture, and appliances should be scrubbed and dusted. Ensure you give a good mopping to your uncarpeted flooring areas. Give your carpets and rugs a comprehensive vacuuming and, if required, a shampoo or steam cleaning – they’re bacterial and germ havens. Take the time to move furniture so your vacuum reaches those normally unreachable spots and also vacuum the upholstery. Drape and curtain fabric can be dulled by dust, so carefully run your vacuum over them (if they’re not too delicate), clean them in the washing machine, or have a professional attend to them. Pace yourself with well-deserved breaks. The inclination to power through and get the spring cleaning over with as quickly as possible may be tempting. Avoid spring cleaning burnout, however, and don’t overdo it. By following these nine tips, you’ll experience an effective spring cleaning and the sweet satisfaction of knowing your freshly scrubbed home is all ready for the upcoming seasons. If an immaculate home interior inspires some new design ideas, then visit our showroom or contact us.